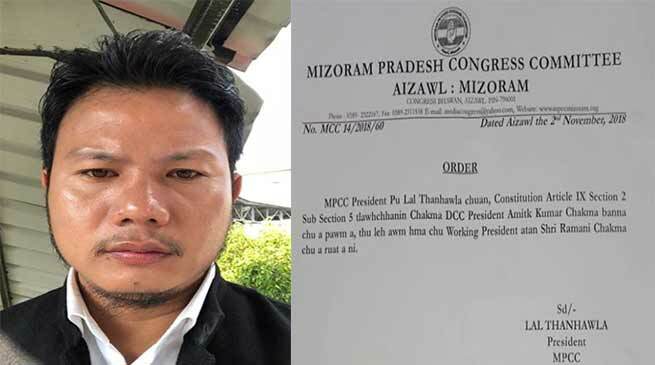 Dangu Amit Kumar Chakma, MDC resigned from the post of President of the Chakma District Congress Committee (CDCC) at Congress Bhawan, Aizawl on Friday. Dangu Lal Thanhawla, President, MPCC who is also the Chairman of the MPCC’s Nomination Committee accepted his resignation immediately at Congress Bhawan, Aizawl. In his resignation letter he cited that the cause of his untimely resignation was voluntary, and for the greater interest of the Congress Party. He hold the post of the President of CDCC since October last year. 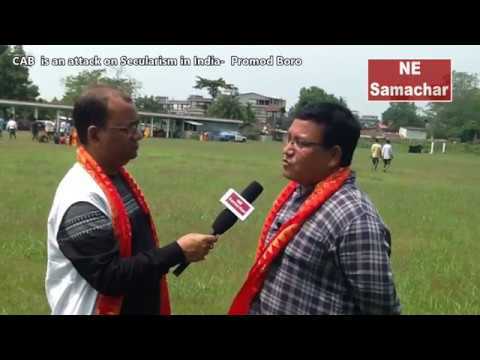 He was also selected as a candidate in 36-Tuichawng Constituency by AICC. 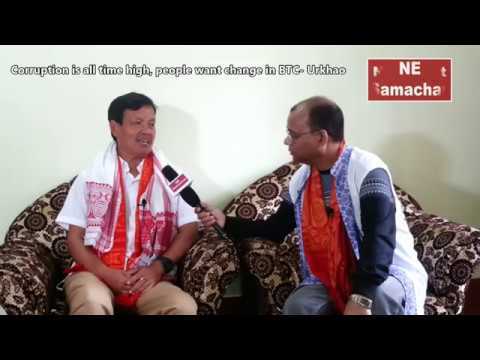 However when media asked about his resignation, he said that the cause of his resignation was over the decision of Mizoram Pradesh Congress Committee (MPCC)’s Nomination Committee of replacing him without his consent. 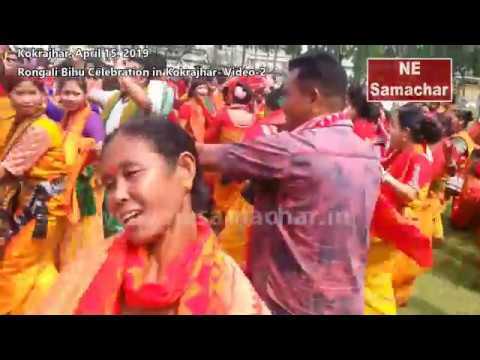 He was declared as a candidate in 36-Tuichawng Assembly Constituency by AICC on 24th October, 2018 after the seat was decline by Dr BD Chakma, the then MLA from Congress Party. It is now uncertain if he will remain in the Party. Now Dangu Kali Kumar Tongchangya, MDC is the candidate in 36-Tuichawng Assembly Constituency for the ensuing Assembly Election which is due schedule on 28th November this year.